Hubbard Auto Repair and Parts Center is a full-service preventive maintenance and auto repairs center in the Onsted, MI 49265 area, specializing in 4x4 Services, Alignment, Brakes, Car & Truck Care, Domestic Cars & Trucks, Electrical Services, Electronic Services, Engine & Transmission, Engine Maintenance, General Services, Heating and Cooling Services, Import Cars & Trucks, Inspections and Emissions, Miscellaneous Services, Quick Lube Services, Tires, Transmission Services and Undercar Services since 1943. Our experts have the knowledge to service and repair even the most challenging auto problems on all makes and models of domestic and import vehicles. We use the latest technology to assess the situation and offer you alternatives. We guarantee all of our work and know you'll be happy with the outcome. Stop in or give us a call at 517-467-2161 to let us know how we can help you! 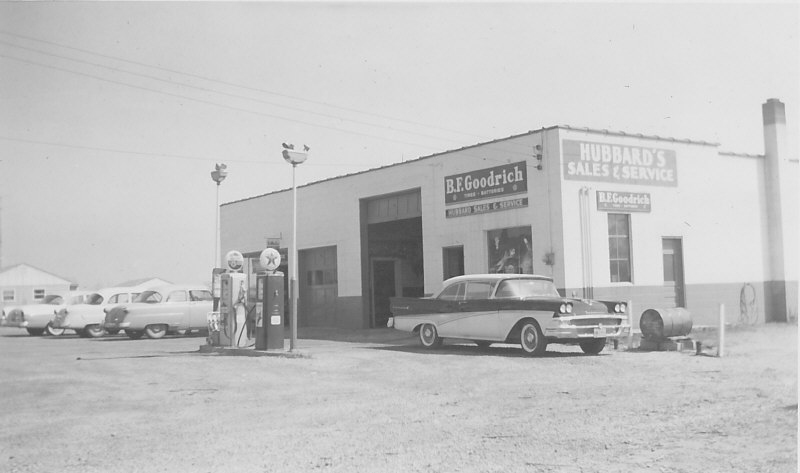 Hubbard Auto Center began in1943 when Ovid Hubbard paid off his depression era farm debt and started to repair vehicles. He bought a small house on M50, near Cambridge Junction, MI., that had an old corn crib which he converted into a garage that became our first service center. Phil Hubbard, Ovid's son grew up with the business and by 1959 had become a full partner. Phil's wife, Jackie, took over the bookwork from Ovid's wife, Marion, and still holds this responsibility today. Phil expanded and diversified the business by adding services offered. Jeff Hubbard, Phil and Jackie's son, grew up riding along on wrecker calls at night with his dad, and later joined the company after graduation from Grand Valley State University in 1981. The Auto Center name is truly appropriate as the company has been involved with many aspects of the automobile industry through the years. Service work, used cars, a Texaco fuel distributorship and gas station, wrecker service, as well as auto parts are all components that have held varying degrees of emphasis within the company as it has changed with the times. Hubbard Auto Center continues to look to the future with investments in new state of the art equipment to keep our technicians on the "cutting edge" of auto repair. For over 74 years and four generations, we have provided quality care and community service, we hope to continue to earn your trust.